Proprietary Name: Cyclobenzaprine Hydrochloride What is the Proprietary Name? Non-Proprietary Name: Cyclobenzaprine Hydrochloride What is the Non-Proprietary Name? 0093 - Teva Pharmaceuticals Usa, Inc.
Cyclobenzaprine Hydrochloride with NDC 0093-1921 is a a human prescription drug product labeled by Teva Pharmaceuticals Usa, Inc.. The generic name of Cyclobenzaprine Hydrochloride is cyclobenzaprine hydrochloride. The product's dosage form is capsule, extended release and is administered via oral form. 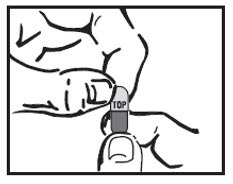 Dosage Form: Capsule, Extended Release - A solid dosage form in which the drug is enclosed within either a hard or soft soluble container made from a suitable form of gelatin, and which releases a drug (or drugs) in such a manner to allow a reduction in dosing frequency as compared to that drug (or drugs) presented as a conventional dosage form. FDA Application Number: NDA021777 What is the FDA Application Number? Cyclobenzaprine hydrochloride extended-release capsules is indicated as an adjunct to rest and physical therapy for relief of muscle spasm associated with acute, painful musculoskeletal conditions. Improvement is manifested by relief of muscle spasm and its associated signs and symptoms, namely, pain, tenderness, and limitation of motion.Limitations of Use:Cyclobenzaprine hydrochloride extended-release capsules should be used only for short periods (up to two or three weeks) because adequate evidence of effectiveness for more prolonged use is not available and because muscle spasm associated with acute, painful musculoskeletal conditions is generally of short duration and specific therapy for longer periods is seldom warranted.Cyclobenzaprine hydrochloride extended-release capsules have not been found effective in the treatment of spasticity associated with cerebral or spinal cord disease or in children with cerebral palsy. The recommended adult dose for most patients is one (1) cyclobenzaprine hydrochloride extended-release 15 mg capsule taken once daily. Some patients may require up to 30 mg/day, given as one (1) cyclobenzaprine hydrochloride extended-release 30 mg capsule taken once daily or as two (2) cyclobenzaprine hydrochloride extended-release 15 mg capsules taken once daily.It is recommended that doses be taken at approximately the same time each day.Use of cyclobenzaprine hydrochloride extended-release capsules for periods longer than two or three weeks is not recommended [see Indications and Usage (1)].Instruct patients to swallow cyclobenzaprine hydrochloride extended-release capsules intact. Alternatively, the contents of the cyclobenzaprine hydrochloride extended-release capsule may be sprinkled over applesauce and then swallowed. This method is appropriate only for patients able to reliably swallow the applesauce without chewing. Other foods have not been tested and should not be substituted for applesauce. 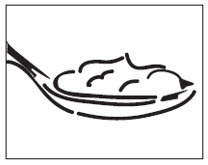 Instruct the patient to:Sprinkle the contents of the capsule onto a tablespoon of applesauce and consume immediately without chewing.Rinse the mouth to ensure all of the contents have been swallowed. Discard any unused portion of the cyclobenzaprine hydrochloride extended-release capsules after the contents have been sprinkled on applesauce. Extended-release capsules in the following strengths:15 mg: Capsules are orange/orange and are embossed in blue ink with “15 mg” on the body, and Cephalon “C” logo, “Cephalon,” and a dashed band on the cap.30 mg: Capsules are blue/red and are embossed in white ink with “30 mg” on the body, and Cephalon “C” logo, “Cephalon,” and a dashed band on the cap. Hypersensitivity to any component of this product. These adverse reactions may manifest as an anaphylactic reaction, urticaria, facial and/or tongue swelling, or pruritus. Discontinue cyclobenzaprine hydrochloride extended-release capsules if a hypersensitivity reaction is suspected. Concomitant use of monoamine oxidase (MAO) inhibitors or within 14 days after their discontinuation. Hyperpyretic crisis seizures and deaths have occurred in patients receiving cyclobenzaprine (or structurally similar tricyclic antidepressants) concomitantly with MAO inhibitor drugs. During the acute recovery phase of myocardial infarction, and in patients with arrhythmias, heart block or conduction disturbances, or congestive heart failure.Hyperthyroidism. The development of a potentially life-threatening serotonin syndrome has been reported with cyclobenzaprine when used in combination with other drugs, such as selective serotonin reuptake inhibitors (SSRIs), serotonin norepinephrine reuptake inhibitors, (SNRIs), tricyclic antidepressants (TCAs), tramadol, bupropion, meperidine, verapamil, or MAO inhibitors. The concomitant use of cyclobenzaprine hydrochloride extended-release capsules with MAO inhibitors is contraindicated [see Contraindications (4)]. Serotonin syndrome symptoms may include mental status changes (e.g., confusion, agitation, hallucinations), autonomic instability (e.g., diaphoresis, tachycardia, labile blood pressure, hyperthermia), neuromuscular abnormalities (e.g., tremor, ataxia, hyperreflexia, clonus, muscle rigidity), and/or gastrointestinal symptoms (e.g., nausea, vomiting, diarrhea). Treatment with cyclobenzaprine hydrochloride extended-release capsules and any concomitant serotonergic agents should be discontinued immediately if the above reactions occur and supportive symptomatic treatment should be initiated. If concomitant treatment with cyclobenzaprine hydrochloride extended-release capsules and other serotonergic drugs is clinically warranted, careful observation is advised, particularly during treatment initiation or dose increases. Cyclobenzaprine is structurally related to the tricyclic antidepressants, e.g., amitriptyline and imipramine. Tricyclic antidepressants have been reported to produce arrhythmias, sinus tachycardia, prolongation of the conduction time leading to myocardial infarction and stroke [see Contraindications (4)]. Cyclobenzaprine hydrochloride extended-release capsules may enhance the effects of alcohol, barbiturates, and other CNS depressants.Some of the more serious central nervous system (CNS) reactions noted with the tricyclic antidepressants have occurred in short-term studies of cyclobenzaprine for indications other than muscle spasm associated with acute musculoskeletal conditions, and usually at doses somewhat greater than those recommended for skeletal muscle spasm. If clinically significant CNS symptoms develop, consider discontinuation of cyclobenzaprine hydrochloride extended-release capsules. As a result of a 40% increase in cyclobenzaprine plasma levels and a 56% increase in plasma half-life following administration of cyclobenzaprine hydrochloride extended-release capsules in elderly subjects as compared to young adults, use of cyclobenzaprine hydrochloride extended-release capsules is not recommended in the elderly [see Clinical Pharmacology (12.3)]. As a result of two-fold higher cyclobenzaprine plasma levels in subjects with mild hepatic impairment, as compared to healthy subjects, following administration of immediate-release cyclobenzaprine and because there is limited dosing flexibility with cyclobenzaprine hydrochloride extended-release capsules, use of cyclobenzaprine hydrochloride extended-release capsules is not recommended in patients with mild, moderate, or severe hepatic impairment [see Clinical Pharmacology (12.3)]. Because of its atropine-like action, cyclobenzaprine hydrochloride extended-release capsules should be used with caution in patients with a history of urinary retention, angle-closure glaucoma, increased intraocular pressure, and in patients taking anticholinergic medication. Most Common Adverse Reactions in the Cyclobenzaprine Hydrochloride Extended-Release Capsules Clinical TrialsBecause clinical trials are conducted under widely varying conditions, adverse reaction rates observed in the clinical trials of a drug cannot be directly compared to rates in the clinical trials of another drug and may not reflect the rates observed in clinical practice.The data described below reflect exposure to cyclobenzaprine hydrochloride extended-release capsules in 253 patients in 2 clinical trials. Cyclobenzaprine hydrochloride extended-release capsules were studied in two double-blind, parallel-group, placebo-controlled, active-controlled trials of identical design [see Clinical Studies (14)]. The study population was composed of patients with muscle spasms associated with acute painful musculoskeletal conditions. Patients received 15 mg or 30 mg of cyclobenzaprine hydrochloride extended-release capsules taken orally once daily, cyclobenzaprine immediate-release (IR) 10 mg three times a day, or placebo for 14 days.The most common adverse reactions (incidence ≥3% in any treatment group and greater than placebo) were dry mouth, dizziness, fatigue, constipation, nausea, dyspepsia, and somnolence (see Table 1).Table 1: Incidence of the Most Common Adverse Reactions Occurring in ≥ 3% of Patients in any Treatment Group* and Greater Than Placebo in the Two Phase 3, Double-Blind Cyclobenzaprine Hydrochloride Extended-Release Capsules TrialsPlaceboCyclobenzaprine Hydrochloride Extended-Release Capsules 15 mgCyclobenzaprine Hydrochloride Extended-Release Capsules 30 mgN=128N=127N=126Dry mouth2%6%14%Dizziness2%3%6%Fatigue2%3%3%Constipation0%1%3%Somnolence0%1%2%Nausea1%3%3%Dyspepsia1%0%4%*cyclobenzaprine hydrochloride extended-release capsules 15 mg QD, cyclobenzaprine hydrochloride extended-release capsules 30 mg QD, or cyclobenzaprine IR tablets TIDAdditional Adverse Reactions from Clinical Studies and Postmarketing ExperienceThe following adverse reactions have been reported in clinical studies or postmarketing experience with cyclobenzaprine hydrochloride extended-release capsules, cyclobenzaprine IR, or tricyclic drugs. Because some of these reactions are reported voluntarily from a population of uncertain size, it is not always possible to reliably estimate their frequency or establish a causal relationship to drug exposure.In a postmarketing surveillance program of cyclobenzaprine IR, the adverse reactions reported most frequently were drowsiness, dry mouth, and dizziness and adverse reactions reported in 1% to 3% of the patients were: fatigue/tiredness, asthenia, nausea, constipation, dyspepsia, unpleasant taste, blurred vision, headache, nervousness, and confusion. The following adverse reactions have been reported in postmarketing experience (cyclobenzaprine hydrochloride extended-release capsules or cyclobenzaprine IR), in clinical studies of cyclobenzaprine IR (incidence <1%), or in postmarketing experience with other tricyclic drugs:Body as a Whole: Syncope; malaise; chest pain; edema.Cardiovascular: Tachycardia; arrhythmia; vasodilatation; palpitation; hypotension; hypertension; myocardial infarction; heart block; stroke.Digestive: Vomiting; anorexia; diarrhea; gastrointestinal pain; gastritis; thirst; flatulence; edema of the tongue; abnormal liver function and rare reports of hepatitis, jaundice, and cholestasis; paralytic ileus, tongue discoloration; stomatitis; parotid swelling.Endocrine: Inappropriate ADH syndrome.Hematologic and Lymphatic: Purpura; bone marrow depression; leukopenia; eosinophilia; thrombocytopenia.Hypersensitivity: Anaphylaxis; angioedema; pruritus; facial edema; urticaria; rash. Metabolic, Nutritional, and Immune: Elevation and lowering of blood sugar levels; weight gain or loss.Musculoskeletal: Local weakness; myalgia.Nervous System and Psychiatric: Seizures, ataxia; vertigo; dysarthria; tremors; hypertonia; convulsions; muscle twitching; disorientation; insomnia; depressed mood; abnormal sensations; anxiety; agitation; psychosis, abnormal thinking and dreaming; hallucinations; excitement; paresthesia; diplopia; serotonin syndrome; neuroleptic malignant syndrome; decreased or increased libido; abnormal gait; delusions; aggressive behavior; paranoia; peripheral neuropathy; Bell’s palsy; alteration in EEG patterns; extrapyramidal symptoms.Respiratory: Dyspnea.Skin: Sweating; photosensitization; alopecia.Special Senses: Ageusia; tinnitus.Urogenital: Urinary frequency and/or retention; impaired urination; dilatation of urinary tract; impotence; testicular swelling; gynecomastia; breast enlargement; galactorrhea. Based on its structural similarity to tricyclic antidepressants, cyclobenzaprine hydrochloride extended-release capsules may have life-threatening interactions with MAO inhibitors [see Contraindications (4)], may enhance the effects of alcohol, barbiturates, and other CNS depressants, may enhance the seizure risk in patients taking tramadol, or may block the antihypertensive action of guanethidine and similarly acting compounds.Postmarketing cases of serotonin syndrome have been reported during combined use of cyclobenzaprine and other drugs, such as SSRIs, SNRIs, TCAs, tramadol, bupropion, meperidine, verapamil, or MAO inhibitors [see Warnings and Precautions (5.1)]. Pregnancy Category B: There are no adequate and well-controlled studies of cyclobenzaprine hydrochloride extended-release capsules in pregnant women. Because animal reproduction studies are not always predictive of human response, cyclobenzaprine hydrochloride extended-release capsules should be used during pregnancy only if clearly needed.No treatment-related effects on embryofetal development were observed in mice and rabbits at approximately 3 and 15 times the maximum recommended human dose (MRHD), respectively (on a mg/m2 basis at maternal doses of 20 mg/kg/day in both mice and rabbits). Nonteratogenic EffectsCyclobenzaprine has been shown to adversely affect pup postnatal development when dams were treated with the drug during pregnancy and lactation periods in rats. This study found that cyclobenzaprine decreased pup body weight and survival at approximately ≥3 times the MRHD (on a mg/m2 basis at maternal doses of 10 and 20 mg/kg/day in rats). It is not known whether this drug is excreted in human milk. Because cyclobenzaprine is closely related to the tricyclic antidepressants, some of which are known to be excreted in human milk, caution should be exercised when cyclobenzaprine hydrochloride extended-release capsules are administered to a nursing woman. Safety and effectiveness of cyclobenzaprine hydrochloride extended-release capsules have not been studied in pediatric patients. Clinical studies of cyclobenzaprine hydrochloride extended-release capsules did not include sufficient numbers of patients aged 65 and over to determine the safety and efficacy of cyclobenzaprine hydrochloride extended-release capsules in the elderly population. The plasma concentration and half-life of cyclobenzaprine are substantially increased in the elderly when compared to the general patient population. Accordingly, use of cyclobenzaprine hydrochloride extended-release capsules is not recommended in the elderly [see Warnings and Precautions (5.3) and Clinical Pharmacology (12.3)]. The use of cyclobenzaprine hydrochloride extended-release capsules is not recommended in patients with mild, moderate, or severe hepatic impairment [see Warnings and Precautions (5.4) and Clinical Pharmacology (12.3)]. Pharmacologic similarities among the tricyclic drugs require that certain withdrawal symptoms be considered when cyclobenzaprine hydrochloride extended-release capsules are administered, even though they have not been reported to occur with this drug. Abrupt cessation of treatment after prolonged administration rarely may produce nausea, headache, and malaise. These are not indicative of addiction. Although rare, deaths may occur from overdosage with cyclobenzaprine hydrochloride extended-release capsules. Multiple drug ingestion (including alcohol) is common in deliberate cyclobenzaprine overdose. As management of overdose is complex and changing, it is recommended that the physician contact a poison control center for current information on treatment. Signs and symptoms of toxicity may develop rapidly after cyclobenzaprine overdose; therefore, hospital monitoring is required as soon as possible. The most common effects associated with cyclobenzaprine overdose are drowsiness and tachycardia. Less frequent manifestations include tremor, agitation, coma, ataxia, hypertension, slurred speech, confusion, dizziness, nausea, vomiting, and hallucinations. Rare but potentially critical manifestations of overdose are cardiac arrest, chest pain, cardiac dysrhythmias, severe hypotension, seizures, and neuroleptic malignant syndrome. Changes in the electrocardiogram, particularly in QRS axis or width, are clinically significant indicators of cyclobenzaprine toxicity. Other potential effects of overdosage include any of the symptoms listed under Adverse Reactions (6). GeneralAs management of overdose is complex and changing, it is recommended that the physician contact a poison control center for current information on treatment.In order to protect against the rare but potentially critical manifestations described above, obtain an ECG and immediately initiate cardiac monitoring. Protect the patient’s airway, establish an intravenous line, and initiate gastric decontamination. Observation with cardiac monitoring and observation for signs of CNS or respiratory depression, hypotension, cardiac dysrhythmias and/or conduction blocks, and seizures is necessary. If signs of toxicity occur at any time during this period, extended monitoring is required. Monitoring of plasma drug levels should not guide management of the patient. Dialysis is probably of no value because of low plasma concentrations of the drug.Gastrointestinal DecontaminationAll patients suspected of an overdose with cyclobenzaprine hydrochloride extended-release capsules should receive gastrointestinal decontamination. This should include large volume gastric lavage followed by activated charcoal. If consciousness is impaired, the airway should be secured prior to lavage and emesis is contraindicated.CardiovascularA maximal limb-lead QRS duration of 0.10 seconds may be the best indication of the severity of the overdose. Serum alkalinization, to a pH of 7.45 to 7.55, using intravenous sodium bicarbonate and hyperventilation (as needed), should be instituted for patients with dysrhythmias and/or QRS widening. A pH >7.60 or a pCO2 <20 mmHg is undesirable. Dysrhythmias unresponsive to sodium bicarbonate therapy/hyperventilation may respond to lidocaine, bretylium, or phenytoin. Type 1A and 1C antiarrhythmics are generally contraindicated (e.g., quinidine, disopyramide, and procainamide).CNSIn patients with CNS depression, early intubation is advised because of the potential for abrupt deterioration. Seizures should be controlled with benzodiazepines or, if these are ineffective, other anticonvulsants (e.g., phenobarbital, phenytoin). Physostigmine is not recommended except to treat life-threatening symptoms that have been unresponsive to other therapies, and then only in close consultation with a poison control center.Psychiatric Follow-UpSince overdosage is often deliberate, patients may attempt suicide by other means during the recovery phase. Psychiatric referral may be appropriate.Pediatric ManagementThe principles of management of child and adult overdosage are similar. It is strongly recommended that the physician contact the local poison control center for specific pediatric treatment. Cyclobenzaprine hydrochloride is a skeletal muscle relaxant which relieves muscle spasm of local origin without interfering with muscle function. The active ingredient in cyclobenzaprine hydrochloride extended-release capsules is cyclobenzaprine hydrochloride, USP. Cyclobenzaprine hydrochloride (HCl) is a white, crystalline tricyclic amine salt with the empirical formula C20H21N·HCl and a molecular weight of 311.9. It has a melting point of 217°C, and a pKa of 8.47 at 25°C. It is freely soluble in water and alcohol, sparingly soluble in isopropanol, and insoluble in hydrocarbon solvents. If aqueous solutions are made alkaline, the free base separates. Cyclobenzaprine HCl is designated chemically as 3-(5H-dibenzo[a,d] cyclohepten-5-ylidene)-N,N-dimethyl-1-propanamine hydrochloride, and has the following structural formula:Cyclobenzaprine hydrochloride extended-release capsules for oral administration are supplied in 15 and 30 mg strengths. Cyclobenzaprine hydrochloride extended-release capsules contain the following inactive ingredients: diethyl phthalate NF, ethylcellulose NF (Ethocel Standard 10 Premium), gelatin, Opadry® Clear YS-1-7006, sugar spheres NF (20-25 mesh), and titanium dioxide. Cyclobenzaprine hydrochloride extended-release 15 mg capsules also contain D&C yellow #10, FD&C green #3, and FD&C red #40. Cyclobenzaprine hydrochloride extended-release 30 mg capsules also contain FD&C blue #1, FD&C blue #2, FD&C red #40, and FD&C yellow #6. Cyclobenzaprine relieves skeletal muscle spasm of local origin without interfering with muscle function. Cyclobenzaprine has not been shown to be effective in muscle spasm due to central nervous system disease. In animal models, cyclobenzaprine reduced or abolished skeletal muscle hyperactivity. Animal studies indicate that cyclobenzaprine does not act at the neuromuscular junction or directly on skeletal muscle. Such studies show that cyclobenzaprine acts primarily within the central nervous system at the brain stem as opposed to the spinal cord level, although an overlapping action on the latter may contribute to its overall skeletal muscle relaxant activity. Evidence suggests that the net effect of cyclobenzaprine is a reduction of tonic somatic motor activity, influencing both gamma (γ) and alpha (α) motor systems. Pharmacological studies in animals demonstrated a similarity between the effects of cyclobenzaprine and the structurally related tricyclic antidepressants, including reserpine antagonism, norepinephrine potentiation, potent peripheral and central anticholinergic effects, and sedation. Cyclobenzaprine caused slight to moderate increase in heart rate in animals. AbsorptionFollowing single-dose administration of cyclobenzaprine hydrochloride extended-release 15 mg and 30 mg capsules in healthy adult subjects (n=15), Cmax, AUC0-168h and AUC0-∞ increased in an approximately dose-proportional manner from 15 mg to 30 mg. The time to peak plasma cyclobenzaprine concentration (Tmax) was 7 to 8 hours for both doses of cyclobenzaprine hydrochloride extended-release capsules.A food effect study conducted in healthy adult subjects (n=15) utilizing a single dose of cyclobenzaprine hydrochloride extended-release 30 mg capsules demonstrated a statistically significant increase in bioavailability when cyclobenzaprine hydrochloride extended-release 30 mg capsules were given with food relative to the fasted state. There was a 35% increase in peak plasma cyclobenzaprine concentration (Cmax) and a 20% increase in exposure (AUC0-168h and AUC0-∞) in the presence of food. No effect, however, was noted in Tmax or the shape of the mean plasma cyclobenzaprine concentration versus time profile. Cyclobenzaprine in plasma was first detectable in both the fed and fasted states at 1.5 hours.When the contents of cyclobenzaprine hydrochloride extended-release capsules were administered by sprinkling on applesauce, it was found to be bioequivalent to the same dose when administered as an intact capsule.In a multiple-dose study utilizing cyclobenzaprine hydrochloride extended-release 30 mg capsules administered once daily for 7 days in a group of healthy adult subjects (n=35), a 2.5-fold accumulation of plasma cyclobenzaprine levels was noted at steady-state.Metabolism and ExcretionCyclobenzaprine is extensively metabolized and is excreted primarily as glucuronides via the kidney. Cytochromes P-450 3A4, 1A2, and, to a lesser extent, 2D6, mediate N-demethylation, one of the oxidative pathways for cyclobenzaprine. Cyclobenzaprine has an elimination half-life of 32 hours (range 8-37 hours; n=18); plasma clearance is 0.7 L/min following single-dose administration of cyclobenzaprine hydrochloride extended-release capsules.Special PopulationsElderlyAlthough there were no notable differences in Cmax or Tmax, cyclobenzaprine plasma AUC is increased by 40% and the plasma half-life of cyclobenzaprine is prolonged in elderly subjects greater than 65 years of age (50 hours) after dosing with cyclobenzaprine hydrochloride extended-release capsules compared to younger subjects 18 to 45 years of age (32 hours). Pharmacokinetic characteristics of cyclobenzaprine following multiple-dose administration of cyclobenzaprine hydrochloride extended-release capsules in the elderly were not evaluated.Hepatic ImpairmentIn a pharmacokinetic study of immediate-release cyclobenzaprine in 16 subjects with hepatic impairment (15 mild, 1 moderate per Child-Pugh score), both AUC and Cmax were approximately double the values seen in the healthy control group. The pharmacokinetics of cyclobenzaprine in subjects with severe hepatic impairment is not known. Long-term studies were conducted in CD-1 mice and Sprague-Dawley rats with cyclobenzaprine to evaluate its carcinogenic potential. In an 81-week carcinogenicity study, metastatic hemangiosarcoma was seen in 3 of 21 male mice at 10 mg/kg/day (2 times the MRHD on a mg/m2 basis). In a 105-week carcinogenicity study, malignant astrocytoma was seen in 3 of 50 male rats at 10 mg/kg/day (3 times the MRHD on a mg/m2 basis). There were no tumor findings in female mice or rats.Cyclobenzaprine HCl was not mutagenic or clastogenic in the following assays: an in vitro Ames bacterial mutation assay, in vitro Chinese hamster ovary (CHO) cell chromosomal aberration test, and in vivo mouse bone marrow micronucleus assay.Cyclobenzaprine HCl had no effects on fertility and reproductive performance in male or female rats at oral doses up to 20 mg/kg/day (6 times the MRHD on a mg/m2 basis). In a 67-week study with rats that received cyclobenzaprine at oral doses of 10, 20, or 40 mg/kg/day (3 to 15 times the MRHD on mg/m2 basis), there were findings in the liver consisting of midzonal vacuolation with lipidosis for males and midzonal and centrilobular hepatocytic enlargement for females. In addition, there were findings of centrilobular coagulative necrosis. In the higher dose groups, these microscopic changes were seen after 26 weeks and even earlier in rats that died prior to 26 weeks; at lower doses, these changes were not seen until after 26 weeks.In a 26-week study with Cynomolgus monkeys that received cyclobenzaprine at oral of doses of 2.5, 5, 10, or 20 mg/kg/day, one monkey at 20 mg/kg/day (15 times the MRHD on mg/m2 basis) was euthanized in week 17. Morbidity for this animal was attributed to findings of chronic pancreatitis, cholecystitis, cholangitis, and focal liver necrosis. Efficacy was assessed in two double-blind, parallel-group, active-controlled, placebo-controlled studies of identical design of cyclobenzaprine hydrochloride extended-release 15 mg and 30 mg capsules taken once daily, between 6:00 and 7:00 PM, cyclobenzaprine 10 mg three times a day, or placebo for 14 days in patients with muscle spasms associated with acute painful musculoskeletal conditions. There were significant differences in the primary efficacy analysis, the patient’s rating of medication helpfulness, between the cyclobenzaprine hydrochloride extended-release capsules 15 mg group and the placebo group at Days 4 and 14 in one study and between the cyclobenzaprine hydrochloride extended-release capsules 30 mg group and the placebo group at Day 4 in the second study.Table 2: Patients’ Rating of Medication Helpfulness - Study 1*Day 4Day 14Number of Patients (%)Number of Patients (%)Placebo(N = 64)Cyclobenzaprine Hydrochloride Extended-Release Capsules 30 mg(N = 64)Placebo(N = 64)Cyclobenzaprine Hydrochloride Extended-Release Capsules 30 mg(N = 64)Excellent1 (2%)3 (5%)12 (19%)15 (23%)Very Good5 (8%)13 (20%)9 (14%)19 (30%)Good15 (23%)22 (34%)10 (16%)15 (23%)Fair24 (38%)20 (31%)16 (25%)10 (16%)Poor10 (16%)5 (8%)9 (14%)4 (6%)Missing9 (14%)1 (2%)8 (13%)1 (2%)* Percentages are rounded to the nearest whole percent.Table 3: Patients’ Rating of Medication Helpfulness - Study 2*Day 4Day 14Number of Patients (%)Number of Patients (%)Placebo(N = 64)Cyclobenzaprine Hydrochloride Extended-Release Capsules 15 mg(N = 63)Placebo(N = 64)Cyclobenzaprine Hydrochloride Extended-Release Capsules 15 mg(N = 63)Excellent1 (2%)2 (3%)10 (16%)13 (21%)Very Good10 (16%)12 (19%)12 (19%)21 (33%)Good14 (22%)21 (33%)13 (20%)9 (14%)Fair16 (25%)17 (27%)14 (22%)10 (16%)Poor19 (30%)6 (10%)12 (19%)5 (8%)Missing4 (6%)5 (8%)3 (5%)5 (8%)* Percentages are rounded to the nearest whole percent.In addition, one of the two studies demonstrated significant differences between the cyclobenzaprine hydrochloride extended-release capsules 30 mg group and the placebo group in terms of patient-rated relief from local pain due to muscle spasm at Day 4 and Day 8, in patient-rated restriction of movement at Day 4 and Day 8, and in patient-rated global impression of change at Day 4, Day 8, and Day 14.In both studies, there were no significant treatment differences between the cyclobenzaprine hydrochloride extended-release capsules treatment groups and the placebo group in physician's global assessment, patient-rated restriction in activities of daily living, or quality of nighttime sleep. Cyclobenzaprine hydrochloride extended-release capsules are available in 15 and 30 mg strengths, packaged in bottles of 60 capsules. Cyclobenzaprine hydrochloride extended-release 15 mg capsules (NDC 0093-1920-06) are orange/orange and are embossed in blue ink with “15 mg” on the body, and Cephalon “C” logo, “Cephalon”, and a dashed band on the cap. Cyclobenzaprine hydrochloride extended-release 30 mg capsules (NDC 0093-1921-06) are blue/red and are embossed in white ink with “30 mg” on the body, and Cephalon “C” logo, “Cephalon”, and a dashed band on the cap. Dispense in a tight, light-resistant container as defined in the USP/NF.Store at 25°C (77°F); excursions permitted to 15 - 30°C (59 - 86°F) [see USP Controlled Room Temperature]. See FDA-approved patient labeling (Patient Information). Instruct patients to swallow cyclobenzaprine hydrochloride extended-release capsules intact or to sprinkle capsule contents on a tablespoon of applesauce and swallow immediately without chewing.Advise patients to stop taking cyclobenzaprine hydrochloride extended-release capsules and to notify their physician right away if they experience symptoms of an allergic reaction, such as difficulty breathing, hives, swelling of face or tongue, or itching.Advise patients that cyclobenzaprine hydrochloride extended-release capsules should not be taken with MAO inhibitors or within 14 days after their discontinuation.Caution patients about the risk of serotonin syndrome with concomitant use of cyclobenzaprine hydrochloride extended-release capsules and other drugs, such as SSRIs, SNRIs, TCAs, tramadol, bupropion, meperidine, verapamil, or MAO inhibitors. Advise patients of the signs and symptoms of serotonin syndrome [see Warnings and Precautions (5.1)] and instruct patients to seek medical care immediately if they experience these symptoms.Advise patients to stop taking cyclobenzaprine hydrochloride extended-release capsules and to notify their physician right away if they experience arrhythmias or tachycardia.Advise patients that cyclobenzaprine hydrochloride extended-release capsules may enhance the impairment effects of alcohol. These effects may also be seen if cyclobenzaprine hydrochloride extended-release capsules are taken with other CNS depressants.Caution patients about operating an automobile or other hazardous machinery until it is reasonably certain that cyclobenzaprine hydrochloride extended-release capsules therapy will not adversely affect their ability to engage in such activities.Advise patients to take cyclobenzaprine hydrochloride extended-release capsules at approximately the same time each day.Distributed By:Teva Pharmaceuticals USA, Inc. North Wales, PA 19454Manufactured By:Adare Pharmaceuticals, Inc.Vandalia, OH 45377Revised May 2018CHERC-002© 2004-2018 Teva Pharmaceuticals USA, Inc. All rights reserved. Cyclobenzaprine Hydrochloride Extended-Release CapsulesRead this Patient Information before you start taking cyclobenzaprine hydrochloride extended-release capsules and each time you get a refill. There may be new information. This information does not take the place of talking with your healthcare provider about your medical condition or your treatment.What are cyclobenzaprine hydrochloride extended-release capsules? Cyclobenzaprine hydrochloride extended-release capsules are prescription medicine used along with rest and physical therapy to help treat muscle spasm due to acute, painful musculoskeletal problems. Cyclobenzaprine hydrochloride extended-release capsules should only be used for up to 2 or 3 weeks. It is not known if cyclobenzaprine hydrochloride extended-release capsules are effective when used for longer periods.It is not known if cyclobenzaprine hydrochloride extended-release capsules are safe and effective in children.Who should not take cyclobenzaprine hydrochloride extended-release capsules? Do not take cyclobenzaprine hydrochloride extended-release capsules if you: are allergic to cyclobenzaprine or any of the ingredients in cyclobenzaprine hydrochloride extended-release capsules. See the end of this Patient Information leaflet for a complete list of ingredients in cyclobenzaprine hydrochloride extended-release capsules.Talk to your healthcare provider or get medical help right away if you have symptoms of an allergic reaction such as:difficulty breathinghivesswelling of your face or tongueitchingare taking certain antidepressants, known as monoamine oxidase (MAO) inhibitors or it has been 14 days or less since you stopped taking a MAO inhibitor. Ask your healthcare provider or pharmacist for a list of these medicines if you are not sure.have had a recent heart attackhave heart rhythm problems (arrhythmias) have heart failurehave an overactive thyroid (hyperthyroidism)Talk to your healthcare provider before taking this medicine if you have any of the conditions listed above.What should I tell my healthcare provider before taking cyclobenzaprine hydrochloride extended-release capsules? Before you take cyclobenzaprine hydrochloride extended-release capsules, tell your healthcare provider if you:have a history of eye problems including glaucoma have heart problems or have had a heart attackhave liver problemshave trouble emptying your bladder (urinary retention)are pregnant or plan to become pregnant. It is not known if cyclobenzaprine hydrochloride extended-release capsules will harm your unborn baby. are breastfeeding or plan to breastfeed. It is not known if cyclobenzaprine hydrochloride extended-release capsules pass into your breast milk. You and your healthcare provider should decide if you will take cyclobenzaprine hydrochloride extended-release capsules or breastfeed. Cyclobenzaprine hydrochloride extended-release capsules may affect the way other medicines work, and other medicines may affect how cyclobenzaprine hydrochloride extended-release capsules work.Tell your healthcare provider about all the medicines you take including prescription and non-prescription medicines, vitamins, and herbal supplements.Especially tell your healthcare provider if you take:a medicine to treat depression, mood, anxiety, psychotic, or thought disordersa pain medicine called tramadol or meperidinebarbiturates or other medicines that depress your central nervous system (CNS depressants)a medicine that prevents nerve impulses (anticholinergic medicines)a medicine to help quit smoking called bupropiona blood pressure medicine called verapamilAsk your doctor or pharmacist if you are not sure if you take any of the medicines listed above.Know the medicines you take. Keep a list of your medicines and show it to your healthcare provider or pharmacist when you get a new medicine.How should I take cyclobenzaprine hydrochloride extended-release capsules? Take cyclobenzaprine hydrochloride extended-release capsules exactly as your healthcare provider tells you to take it. Your healthcare provider will tell you how much cyclobenzaprine hydrochloride extended-release capsules to take and when to take it. Your healthcare provider may change your cyclobenzaprine hydrochloride extended-release capsules dose if needed. Take cyclobenzaprine hydrochloride extended-release capsules around the same time every day.Cyclobenzaprine hydrochloride extended-release capsules should only be taken for short periods (up to two or three weeks).If you take too much cyclobenzaprine hydrochloride extended-release capsules, call your doctor or go to the nearest hospital emergency room right away.What should I avoid while taking cyclobenzaprine hydrochloride extended-release capsules? You should not drink alcohol until you know how cyclobenzaprine hydrochloride extended-release capsules affect you. Taking cyclobenzaprine hydrochloride extended-release capsules with alcohol or other medicines that depress your central nervous system can slow your thinking and physical response times. Do not drive, operate machinery, or do other dangerous activities until you know how cyclobenzaprine hydrochloride extended-release capsules affect you.What are the possible side effects of cyclobenzaprine hydrochloride extended-release capsules? Cyclobenzaprine hydrochloride extended-release capsules may cause serious side effects that may lead to heart attack or stroke. Call your healthcare provider right away or go to the nearest hospital emergency room if you have:irregular or abnormal heartbeats (arrhythmias)fast heartbeat (tachycardia)Serotonin syndrome is a serious medical condition that may happen when cyclobenzaprine hydrochloride extended-release capsules are taken with certain other medicines. Call your healthcare provider right away or go to the nearest hospital emergency room if you become severely ill and have some or all of these symptoms:agitation, hallucinations, coma, or other changes in mental statuscoordination problems or muscle twitching (overactive reflexes)fast heartbeat, high or low blood pressuresweating or fevernausea, vomiting, or diarrheamuscle stiffness or tightnessThe most common side effects of cyclobenzaprine hydrochloride extended-release capsules include:dry mouth dizziness fatigueconstipationnauseaupset stomachdrowsinessTell your healthcare provider if you get any side effect that bothers you or that does not go away.These are not all the possible side effects of cyclobenzaprine hydrochloride extended-release capsules. For more information, ask your healthcare provider or pharmacist. Call your healthcare provider for medical advice about side effects. You may report side effects to FDA at 1-800-FDA-1088.How should I store cyclobenzaprine hydrochloride extended-release capsules? Store cyclobenzaprine hydrochloride extended-release capsules at room temperature, between 59°F to 86°F (15°C to 30°C). Keep cyclobenzaprine hydrochloride extended-release capsules in a tightly closed container, and keep cyclobenzaprine hydrochloride extended-release capsules out of light.Keep cyclobenzaprine hydrochloride extended-release capsules and all medicines out of the reach of children.General information about the safe and effective use of cyclobenzaprine hydrochloride extended-release capsules. Medicines are sometimes prescribed for purposes other than those listed in a Patient Information leaflet. Do not use cyclobenzaprine hydrochloride extended-release capsules for a condition for which it was not prescribed. Do not give cyclobenzaprine hydrochloride extended-release capsules to other people, even if they have the same symptoms you have. It may harm them. This Patient Information leaflet summarizes the most important information about cyclobenzaprine hydrochloride extended-release capsules. If you would like more information, talk with your healthcare provider. You can ask your healthcare provider or pharmacist for information about cyclobenzaprine hydrochloride extended-release capsules that is written for healthcare professionals. For more information, call 1-888-483-8279. What are the ingredients in cyclobenzaprine hydrochloride extended-release capsules? Active Ingredient: cyclobenzaprine hydrochloride USPInactive Ingredients: diethyl phthalate NF, ethylcellulose NF (Ethocel Standard 10 Premium), gelatin, Opadry® Clear YS-1-7006, sugar spheres NF (20-25 mesh), and titanium dioxide. Cyclobenzaprine hydrochloride extended-release 15 mg capsules also contain: D&C yellow #10, FD&C green #3, and FD&C red #40.Cyclobenzaprine hydrochloride extended-release 30 mg capsules also contain: FD&C blue #1, FD&C blue #2, FD&C red #40, and FD&C yellow #6.Distributed By:Teva Pharmaceuticals USA, Inc.North Wales, PA 19454Manufactured By:Adare Pharmaceuticals, Inc.Vandalia, OH 45377CHERCPL-002Revised May 2018©2004-2018 Teva Pharmaceuticals USA, Inc.All rights reserved.